As The Guardian reports this morning, the Sanders campaign is “mulling” over calling for a recount in the Kentucky primary, an extremely close race. This is, simply put, narcissistic madness. There is really no good outcome from this. 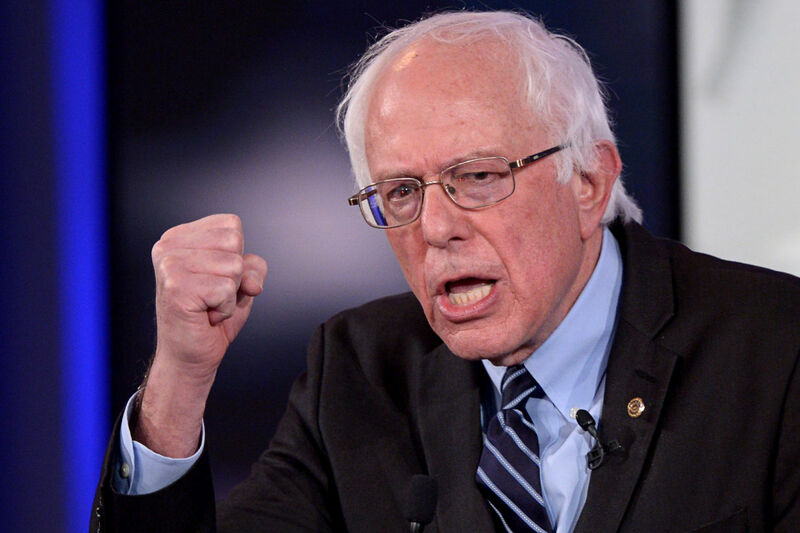 Even if Sanders doesn’t demand a recount, even mulling one over makes the whole thing seem suspect, like the Hillary team and the crooked Democratic Party are trying to steal things, trying to put one over on Sanders and his supporters, the only ones who have a true passion. Everyone else is a hunchbacked pack of Ralph Steadman caricatures, lurching grotesquely hand-in-hand with blood-soaked billionaires, trying to erase the specter of real democracy. In short, it’s getting ugly. The narrative that Sanders is now pushing- we’re the real voice of the people, despite being outvoted by the millions- has some validity, but not much. His wins are narrow, not just in delegates, but in total votes. And that’s fine: he’s doing amazingly well, and shouldn’t even still be here. But he has triggered something real and genuine, and something important. It’s why I voted for him. He’s highlighting the ur-issues of American politics, the role of money in distorting any electoral equity. But this narrative comes with inherent dangers, mostly that anyone standing in the way is a counter-revolutionary. Anything that is messy about voting (and much of the system is bizarre and counterproductive) isn’t seen as a glitch to be fixed, but an enemy to be overcome. An enemy put in place to stop the Voice of the People, the popular tribune, the one man that can save us all. And the number one enemy is Hillary Clinton. That’s why calling for a recount is dangerous. It doesn’t make sense electorally, as virtually no delegates will shift. But it highlights the dangerous game Sanders is playing. He’s trying to negate the votes of millions of people (largely older and minority) that genuinely want Hillary Clinton to be the nominee, by claiming that the real voters want him to be President. He wants to demonstrate that something is being stolen from him, and his most eager supporters are all too willing to believe it. That isn’t right, and for such a populist campaign, it is weirdly tyrannical. The nomination is mine, because more people cry at my rallies. Their voters don’t count. Only mine do. Sanders should by all means continue his campaign, and keep pushing for genuine progressive policies. But it is possible to do so in a twilight, accepting that he isn’t being robbed, but that the voters of the Democratic Party chose Hillary Clinton. That’s what happens in elections. As ugly as 2008 was, Hillary moved toward unity. I believe that Bernie can do so, and that he has to in the face of Trump. But this coalescing idea that if Hillary wins it is because she is a thieving harpy will make it harder to win. Remember, this isn’t about the lesser of two evils. It’s about the greater evil being a genuinely epochal disaster, a country-defining tragedy. Fighting the good fight doesn’t mean imagining yourself Spartacus, and demanding a revolt.